The first step toward improving your finances is to know where you stand. Take the time to look at all your assets (e.g., checking, savings, savings bonds, 401(k), etc. ), as well as your liabilities, such as car and house payments and credit cards and their outstanding balances. Once you have a good picture of your current finances, you can move on to the next step. Most consumers don’t have a budget. 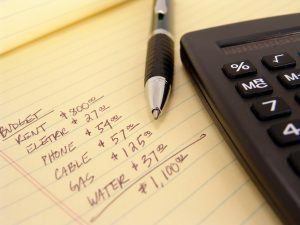 According to a survey by the National Foundation for Credit Counseling (NFCC), just 41 percent of adults use a budget to manage their finances. Remember that a budget does not have to be complex. Essentially, a budget should have income vs. spending, with spending itemized. The goal is to have money left over at the end of a month, or at least to break even. As part of the budget process, conduct your own stress test for your finances. For example, are you prepared for a medical emergency or job loss? Now is the time to think about what you would do in this kind of scenario. The worst thing is not to have planned for the unexpected. The island approach is an innovative way to manage your finances. This simply means to isolate different financial needs on different financial products. For example, have one credit card for everyday purchases such as gas and food that you pay off each month; and another credit card for emergency expenditures. You’ve reviewed your current financial condition and created a budget. Now you want to add a line item for debt reduction. Credit card debt should be at the top of the list, followed by car payment, home mortgage, etc. Your goal should be to reduce your debt each month. Everyone needs to be reminded about the dangers of fraud, identify theft and just plain scams. If you get an offer that sounds too good to be true, it is. Protect yourself and your money at all times. Ideally, you have money left over at the end of the month. The best thing you can do is to put this into an emergency fund for those unexpected expenses that always seem to happen. A three to six month expense cushion is recommended. In addition to accumulating an emergency fund, try to increase your savings, such as an IRA, passbook account or 401(k). If you now save only 3 percent, for example, try increasing it one percent a year over the next five years. According to the same NCCP survey, fewer than 19% of U.S. adults feel “very confident,” while 29% indicate “not at all confident” that they have saved enough for retirement. Most financial planners recommend saving 15-20% of income for retirement. As part of your financial review, you need to check your credit score. Remember: The higher the score, the lower your interest on loans. Good credit pays. And good credit scores are based on your ability to pay down your debt. You have made your financial plan and set your goals. The final step is to renew your relationship with your bank and ask your local banker to go over plans with you. Visit the bank and sit down with one of its financial professionals. They can help solidify your plans as well as help achieve your financial goals. In addition, they can help you plan for those life-changing situations or unexpected expenses. The Massachusetts Bankers Association represents approximately 145 commercial, savings, and co-operative banks and savings and loan associations with 69,000 employees located in Massachusetts and elsewhere in New England.